Welcome to A STORM OF SPOILERS, a Game of Thrones podcast that uses all possible knowledge to give you the best possible coverage! This week, we answer YOUR questions about the impending endings of both the Avengers with ENDGAME and for Game of Thrones' final season. 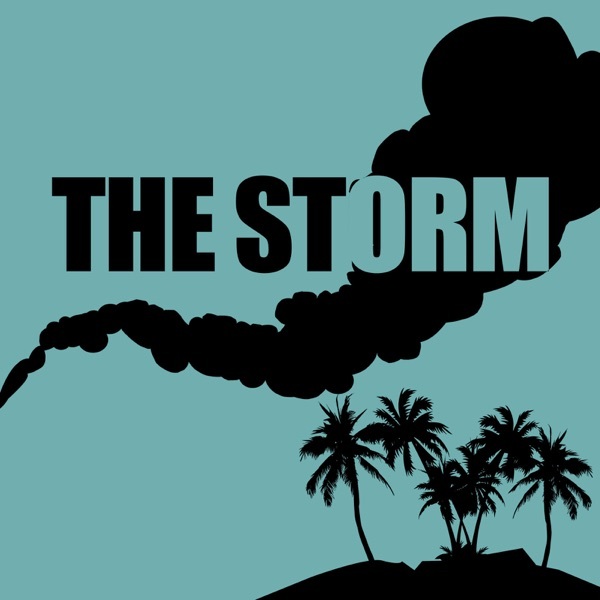 BE AWARE - This podcast is split into sections - There's a intro with Storm Chasing (NO SPOILERS), then a series of CALM (No Spoilers) mailbag questions about both superheroes and Game of Thrones. THEN BEWARE! The middle section is STORM (Spoilers/Speculation) questions for Avengers: Endgame followed by a lengthy STORM (Spoilers/Speculation) on the final season of Game of Thrones questions. BE AWARE - this is the last time we get to info dump before the final season so WHAT WE KNOW IS IN THIS PODCAST. Avengers STORM starts at 46:31 Game of Thrones STORM starts at 1:13:32 Follow Neil (@rejects (http://twitter.com/rejects) ), Joanna (@jowrotethis (http://twitter.com/jowrotethis) ), Da7e (@da7e (http://twitter.com/da7e) ), and the show (@StormofSpoilers (http://twitter.com/StormofSpoilers) ) on Twitter . This week's intro and outro music is Game Of Thrones (KSHMR & The Golden Army Remix) (https://www.youtube.com/watch?v=no2dG9OlXZo) Subscribe to get exclusive content! - https://www.patreon.com/stormofspoilers - INCLUDING as many as TWO additional podcasts per Game of Thrones week! Welcome to A STORM OF SPOILERS, a Game of Thrones podcast that uses all possible knowledge to give you the best possible coverage! This week, it's finally time for a good, old fashioned Game of Thrones themed GREAT DEBATE! Each host brings a nominee, then we pull a nominee from the many listener entries in the following categories: Most Anticipated Season 8 Reunion, Best Last Words, and The Ice Zombie Resurection You Fear the Most. Also, look forward to Joanna's Last Words Trivia Penticle! Game of Thrones season is back! ON SEASON! Follow Neil (@rejects (http://twitter.com/rejects) ), Joanna (@jowrotethis (http://twitter.com/jowrotethis) ), Da7e (@da7e (http://twitter.com/da7e) ), and the show (@StormofSpoilers (http://twitter.com/StormofSpoilers) ) on Twitter . Subscribe to get exclusive content! - https://www.patreon.com/stormofspoilers Get MERCH at ChaosIsLit.com (http://chaosislit.com) This week's podcast is brought to you by Talkspace. This is a re-post from before Season 7. Welcome back to A STORM OF SPOILERS! It's time for a REWATCH of the previous six seasons of Game of Thrones, it's ReThrones! Joanna, Neil, and Da7e have returned to their Citadel in the center of Crazytown and have settled in for the ramp up to Season 7 of Game of Thrones! This week, and now our Re-Watch has ended as the three of us dive into the refreshingly well paced (mostly) Sixth and-most-current season of Game of Thrones. From debates about why Sansa with-held information to Joanna's gradual forgiveness of plots that pissed her off, only one thing is for certain - over 80 minutes pass before someone remembers Samwell Tarly. This is a re-post from before Season 7. Welcome back to A STORM OF SPOILERS! It's time for a REWATCH of the previous six seasons of Game of Thrones, it's ReThrones! Joanna, Neil, and Da7e have returned to their Citadel in the center of Crazytown and have settled in for the ramp up to Season 7 of Game of Thrones! This week, it's not a great season for anyone on Game of Thrones. All three hosts contemplate if this is the least best season of the show to date. That doesn't mean the crew skips out on The Georgies and the good thing about a cruel season of Game of Thrones is there are still good lines and deaths. Follow Neil (@rejects), Joanna (@jowrotethis), Da7e (@da7e) and the show (@StormofSpoilers) on Twitter! This episode is a re-post from before Season 7. Welcome back to A STORM OF SPOILERS! It's time for a REWATCh of the previous six seasons of Game of Thrones, it's ReThrones! Joanna, Neil, and Da7e have returned to their Citadel in the center of Crazytown and have settled in for the ramp up to Season 7 of Game of Thrones! This week, we got a trailer for the new season that the group partially breaks down before moving into their findings while rewatching the first season of Game of Thrones all over again. Was the show just perfect in its first season? What are some of Catelyn Stark's most ironic lines? That and more on the Season 1 ReThrones pod. Follow Neil (@rejects), Joanna (@jowrotethis), Da7e (@da7e) and the show (@StormofSpoilers) on Twitter! Welcome the last off season tour episode of A STORM OF SPOILERS! This week, we discuss the cinema of Jordan Peele, mainly his new movie Us, but also how it releates to his debut Get Out and some early non-spoiler impressions of CBS All Acess' The Twilight Zone. BE AWARE - Us is a spoilable movie in a lot of ways. This podcast does include discussion meant to be ingested AFTER you've seen Us. SPOILERS in the storm at 51 minutes and 18 seconds. Follow Neil (@rejects (http://twitter.com/rejects) ), Joanna (@jowrotethis (http://twitter.com/jowrotethis) ), Da7e (@da7e (http://twitter.com/da7e) ), and the show (@StormofSpoilers (http://twitter.com/StormofSpoilers) ) on Twitter . Subscribe to get exclusive content! - www.patreon.com/stormofspoilers (https://www.patreon.com/stormofspoilers) Get MERCH at ChaosIsLit.com (http://chaosislit.com) This week's podcast is brought to you by Framebridge. Welcome to another off season tour episode of A STORM OF SPOILERS! This week, it's time to figure out who lost the bets, who bombed on the ballots, and - of course - who will be singing at Con of Thrones. This is the podcast episode where we react to last weekend's Academy Awards Ceremony, also where we'll lay out our future plans for the final season of Game of Thrones! Follow Neil (@rejects (http://twitter.com/rejects) ), Joanna (@jowrotethis (http://twitter.com/jowrotethis) ), Da7e (@da7e (http://twitter.com/da7e) ), and the show (@StormofSpoilers (http://twitter.com/StormofSpoilers) ) on Twitter . Subscribe to get exclusive content! - www.patreon.com/stormofspoilers (https://www.patreon.com/stormofspoilers) Get MERCH at ChaosIsLit.com (http://chaosislit.com) This week's podcast is brought to you by Framebridge.